Representative of Lagos State Governor & Commissioner for the Environment, Dr. Babatunde Adejare; Permanent Secretary, Ministry of the Environment, Mr. Abiodun Bamgboye; Executive Secretary, Lagos State Environmental Trust Fund, Mr. Kunle Otusemade and Chief Operations Officer, Visionscape Group, Mr. Thomas Forgacs during a media workshop on the Cleaner Lagos Initiative, at the LCCI Exhibition and Conference Centre, Olowopopo Avenue, CBD, Ikeja, on Tuesday, August 01, 2017. 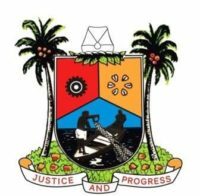 Lagos State Governor, Mr. Akinwunmi Ambode on Tuesday said that the Cleaner Lagos Initiative (CLI), which is a major reform of his administration to revolutionize the solid waste management sector in line with international best practices will commence in the first week of September. 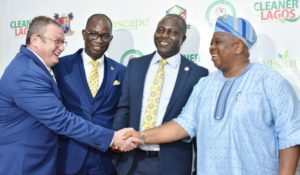 The Governor, who spoke at a media workshop in Lagos to sensitize journalists ahead of the take-off, said the initiative would not only change the solid waste management system in the State, but would also engender a sustainable, cleaner and healthier environment for Lagosians, just as he assured that the people would be better for it. Governor Ambode who was represented by the Commissioner for the Environment, Dr. Babatunde Adejare, said all was now set for the eventual take off, with the passage of the Environmental Management and Protection Law 2017, the concession of residential waste collection and procession to a reputable and competent multinational Waste Services Company as well as the transformation of the erstwhile Kick Against Indiscipline Brigade to a more civil Lagos State Environmental Sanitation Corps (LAGESC). The Governor said in the interim, a temporary intervention programme tagged “Operation Deep Clean”, was already on going with a mandate to evacuate solid waste from dark spots and major locations across the State, urging Lagosians to cultivate the habit of bagging their waste properly. “We are going to start the CLI by first week in September and by the grace of God Lagosians would see how we intends to clean Lagos and make it a more beautiful and liveable environment for us. “In the meantime, we have thrown up and intervention programme that the Ministry of the Environment, LAWMA and Visionscape is doing called ‘Operation Deep Clean’. The three of them have combined together and are doing this intervention programme supported by our PSP team and even we have started using open trucks for them just to make sure that we don’t have refuse so much on our road. “I want to tell Lagosians that don’t dump refuse irresponsibly, bag your refuse, put it in front of your house and I assure you, this Government would come and take them. Don’t worry, where there is no pain, there is no gain, this is just a transition that we are in and by the grace of God come first week in September, we would see the new thing and we would all enjoy it and be happy about it,” he said. Besides, Governor Ambode said that the commitment of his administration to ensure the successful implementation of the CLI was driven by the strategic importance of the environment as a bedrock upon which development and economic prosperity rest. He also said that the spirited efforts to improve sanitation and hygiene are founded with the determination to provide a level playing field for all investors and inject international best practices into Solid Waste Management sector in the State. “This initiative has offered us the unique opportunity to seek private investment from nationally and internationally renowned players in the waste management sector, infuse more efficiency and enhance the standard of living of our people by attaining a cleaner, safer and more secured environment,” the Governor said. “The CLI is a reform of the solid waste management sector of the State and that is why we are here. We know that by educating and exposing the media to all the facts about CLI, you would be able to educate the people because their buy-in is very critical and very important and you know we are responsible for them and to them, so therefore, educating them through you is very important,” he said.